The unofficial start of summer is almost upon us! 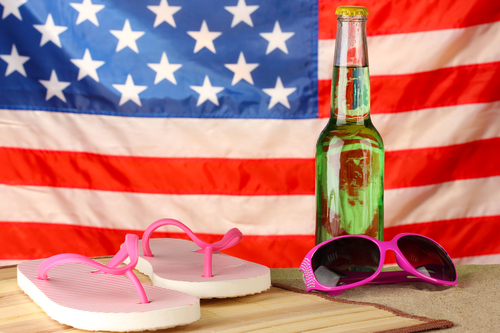 While Memorial Day Weekend rings in fun in the sun, its true meaning is much more serious. Memorial Day is an occasion to remember and honor veterans who have sacrificed for our country, and to pay tribute to the men and women who continue to fight for our freedom. Valley Forge National Historical Park—As your Canvas Valley Forge apartment is only two miles from this massive Revolutionary War encampment, it’s only fitting to visit this spot on Memorial Day. Each year, the park hosts a memorial service, which includes the playing of “Taps,” to commemorate fallen veterans at its Washington Memorial Chapel. The event also features a concert of live patriotic music and tours of the park. Medal of Honor Grove—While at Valley Forge National Historical Park, make sure to pay a visit to the Medal of Honor Grove. The memorial was installed more than 50 years ago to salute the winners of the Congressional Medal of Honor. Walk through gorgeous stone obelisks that are inscribed with the names of those honored, as well as hand-etched drawings, state seals and other tributes. The 52-acre memorial is a poignant and peaceful way to pay tribute this Memorial Day. Norristown Memorial Day Observance—On May 26, take part in the annual Memorial Day Observance at Historic Montgomery Cemetery, about five miles from your Canvas Valley Forge apartment. The centuries-old burial site is a haven for military history, as it is home to nearly 6,000 graves, including 400 veterans and several Civil War generals. From 11 a.m.-1 p.m., event organizers will honor veterans and share the stories of those buried at the cemetery.